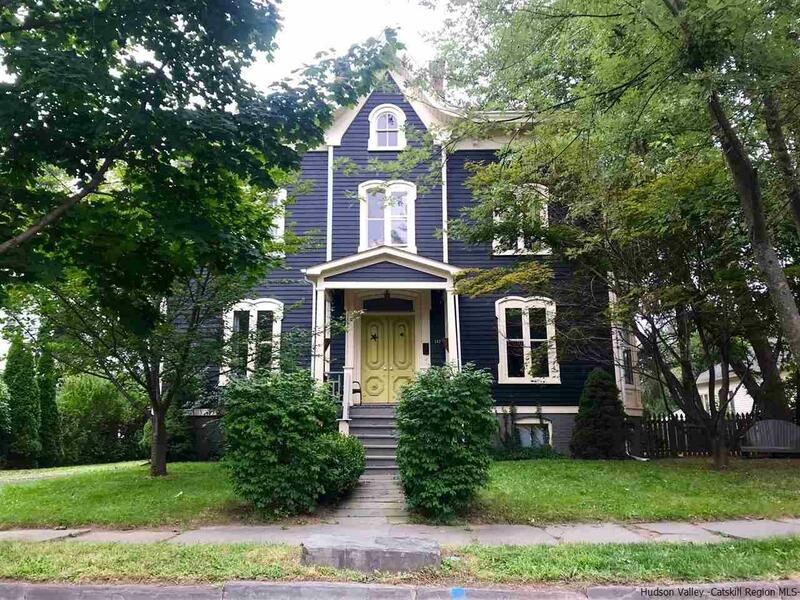 This Saugerties Village Victorian is a must-see and rare opportunity! You'll love the hardwood floors throughout, super tall ceilings, and generous living space. The home boasts 4 bright and sunny bedrooms, a huge updated full bath upstairs, and another full bath off the kitchen. As you enter, you are greeted by a beautiful oak staircase and hall, flanked on either side by the enormous living and dining rooms. Walk straight back into the modern and updated airy kitchen that is so perfect for entertaining your friends and family. Go out the back kitchen door to the private bluestone patio and large fenced-in yard. Languish on the sweet side porch or watch the Village activity on your welcoming front porch. Don't forget you can walk just a few blocks right into beloved Saugerties Village, and all its wonderful restaurants, shopping, galleries, library, and stunning antique architecture. Seller is extremely motivated... so don't let this one go!